Do you need to customize control buttons of the top panel? Do you need more space for your controls? No problem! Remember the optional right panel? And its complicated adjustment in a special part of settings? Forget it! Now here comes the Functions Panel that unites the top panel and right panel in one. 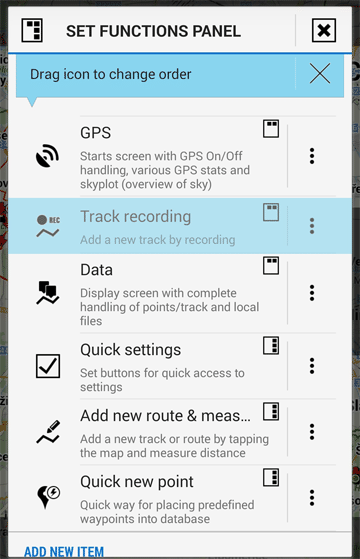 Select Menu > Settings > Map – control&panels > Set functions panel (or tap any button in the top panel and select Modify panel). A brand new dialog appears: Buttons of your favourite features can be added in both panels at once, they can overflow from one to another. Just set number of buttons in the top panel and add more functions, they will queue in the right panel. Tap the function icon and drag it to change its position freely between both connected panels. Add as many functions as you like or your screen can cope with and also links to other apps for their easy access! Make your own Locus workplace as comfortable as you need. Need to change position of trackpoints directly on map? 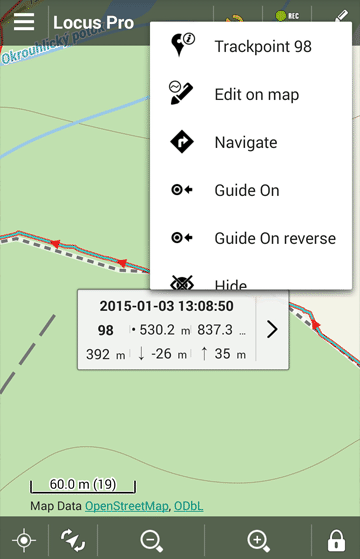 Activate any track on map and tap any of its trackpoints. 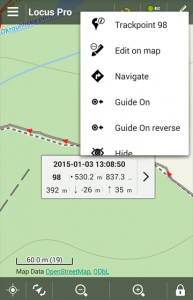 Select More options from the label > Edit on map > Options from the bottom panel > Edit location. The point and the surrounding points are highlighted and ready to be moved by tapping and dragging. You can even add points tapping at the connecting lines and edit your track as you like. 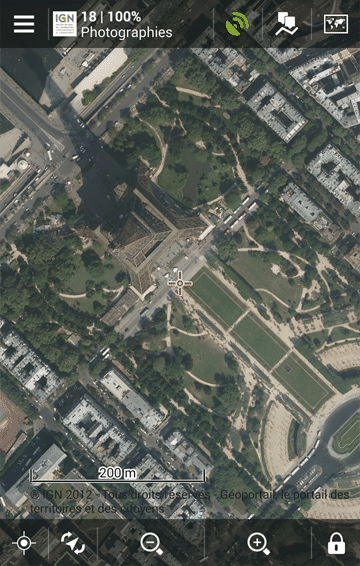 IGN map of France is coming! 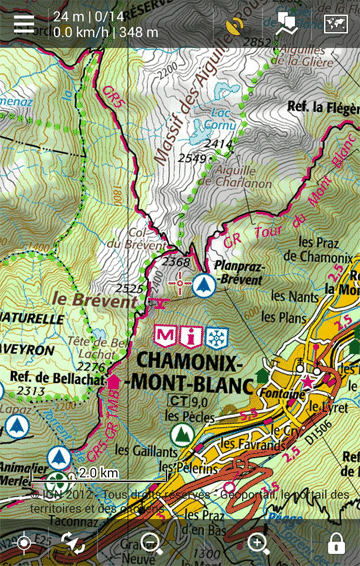 IGN maps are probably the best topo maps of France. 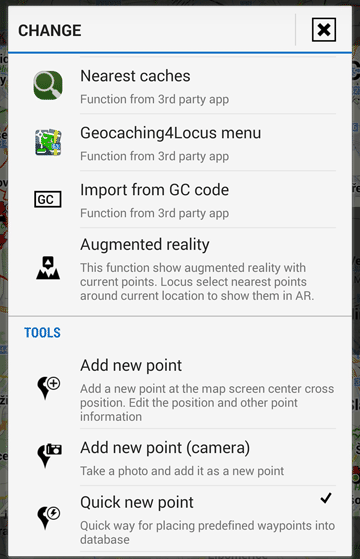 We’re glad to announce that Locus Map became one of a few applications to offer these maps online in testing mode. 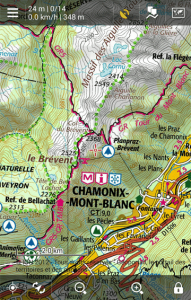 Access to the IGN maps is paid and besides mentioned topo maps also satellite maps are available. More about these maps will be mentioned in the next blogpost. Upon a few humble requests of Indonesian travellers we have returned Navigasi maps into Locus Store. 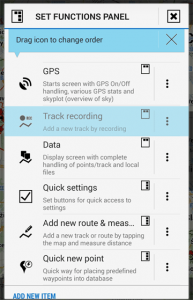 The maps are free, based on OpenStreetMaps, very simple and suitable as roadmaps, especially in bigger cities. 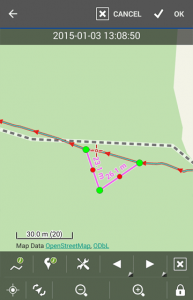 We provide Navigasi maps in 15 zooms of two sets, Bright and Standard. For clearer structure of default portfolio of online maps in the Maps manager we transferred Japanese GSI maps into Locus Store. They are available there for additional download for free as before so none of our dear Japanese users should be upset! Dobrý den, děkujeme za upozornění. Podporu S-JTSK máme stále v seznamu, bohužel během aktualizace se někam vytratila 🙂 Opravíme v nejbližší bugfix verzi, omlouváme se za nepříjemnost. 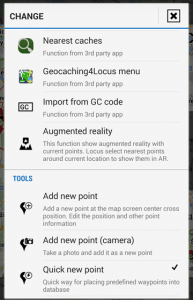 As a pro user I must say Locus is a great app! I’d love to see the feature of an optional private area (for examplea a user defined point with a user defined radius) within which track points are not stored. This could be a global setting or a setting of a tracking profile. That way it would become very easy to protect one’s privacy before uploading tracks to some online services. The implementation should be simple and straightforward. Strava has a similar feature where you can define a private area which is not shown to other users. The actual workaround in Locus is to start recording with a timer and stop early before home. (Nice to have would be to have a check box like “enable private area for this record” on the recording panel). Best regards and sorry for posting here since I try to avoid some new forum account…maybe someone might also copy and paste this as a feature request. Hi Tim, your idea has been submitted as a feature request at our helpdesk and it’s started to collect votes. When it gathers demand enough, we’ll plunge into developing a suitable solution. I couldn’t find any information about system requirements for the new version 3.7.0 – did they increase? Because I cannot update my Galaxy S2 with Android 2.3.4 from Locus Pro 3.5.3 to a higher version. Google Play store doesn’t offer/allow an update. Is this correct? Why can’t actualize my pro version to the actual release. I bought it through ANDROIDPIT.